On 1963 Malaysia came into being, consisting of the Federation of Malaya, the State of Singapore and the colonies of North Borneo (renamed Sabah) and Sarawak. The agreement between the UK and the 4 territories was signed on 9 July (Cmnd. 2094) ; by it, the UK relinquished sovereignty over Singapore, North Borneo and Sarawak from independence day and extended the 1957 defence agreement with Malaya to apply to Malaysia. Malaysia became automatically a member of the Commonwealth of Nations. 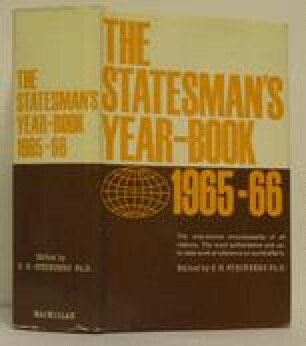 See map in The Statesman’s Year-Book, 1964–65.